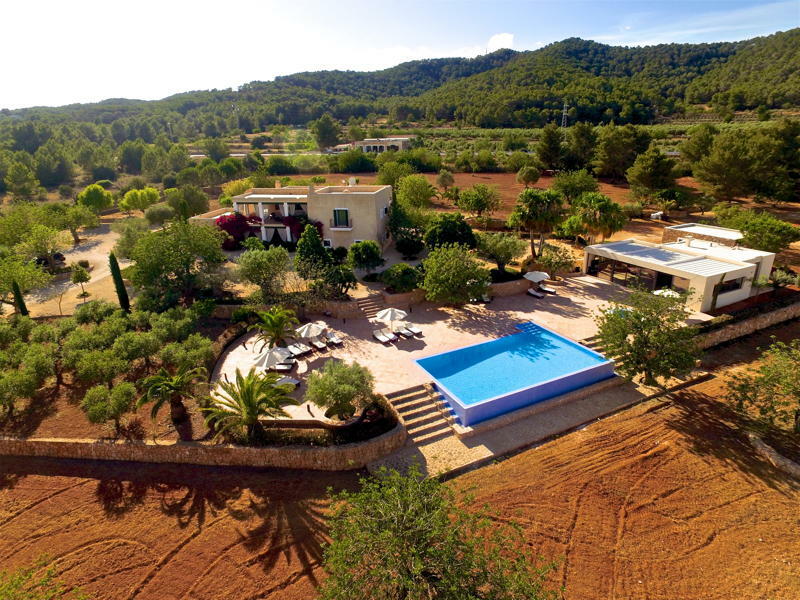 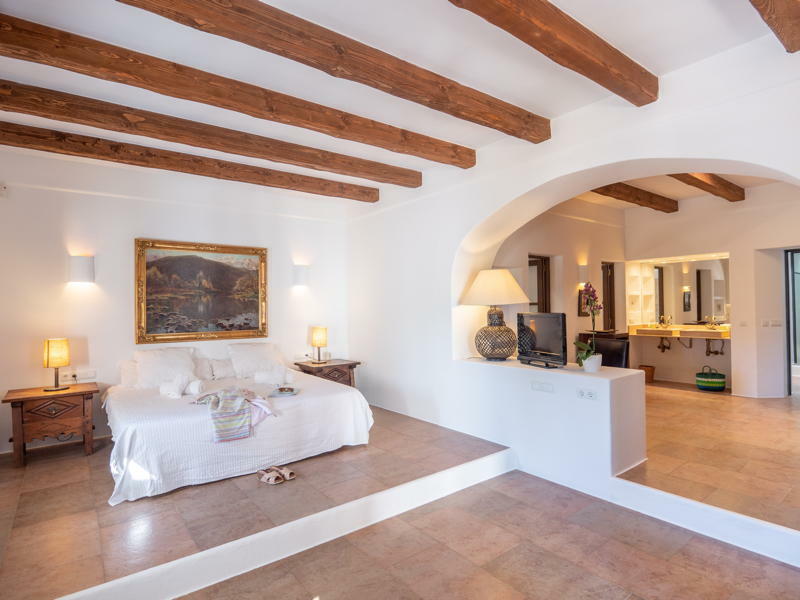 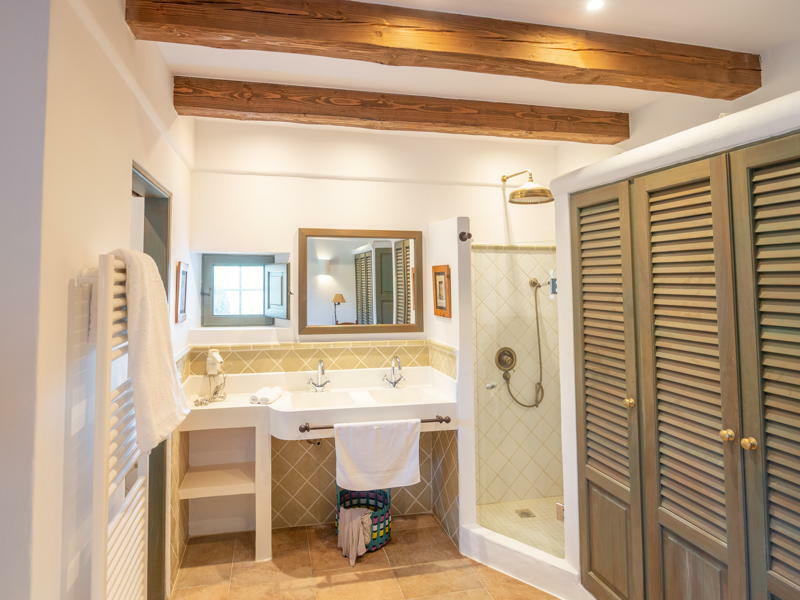 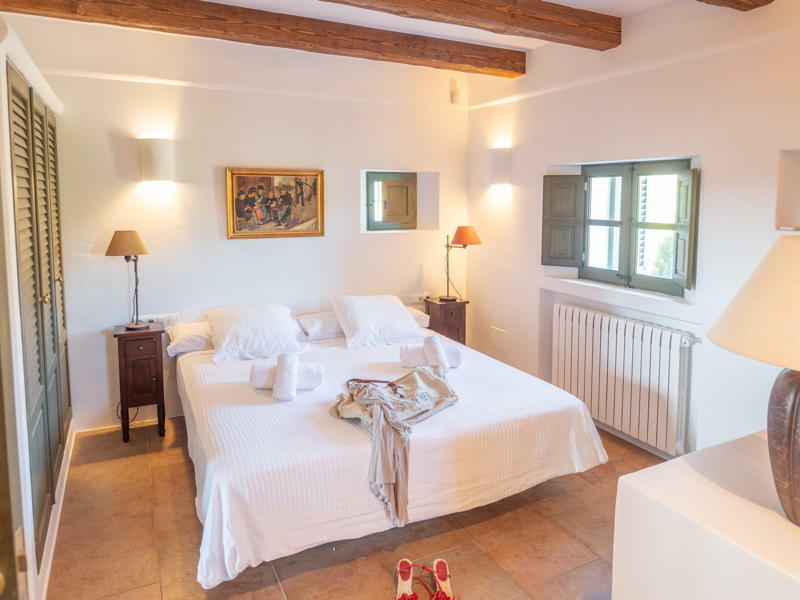 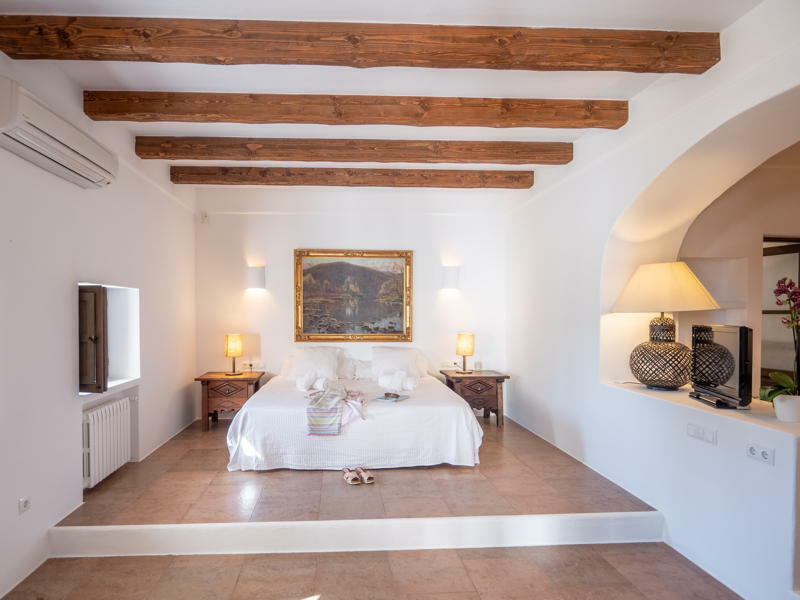 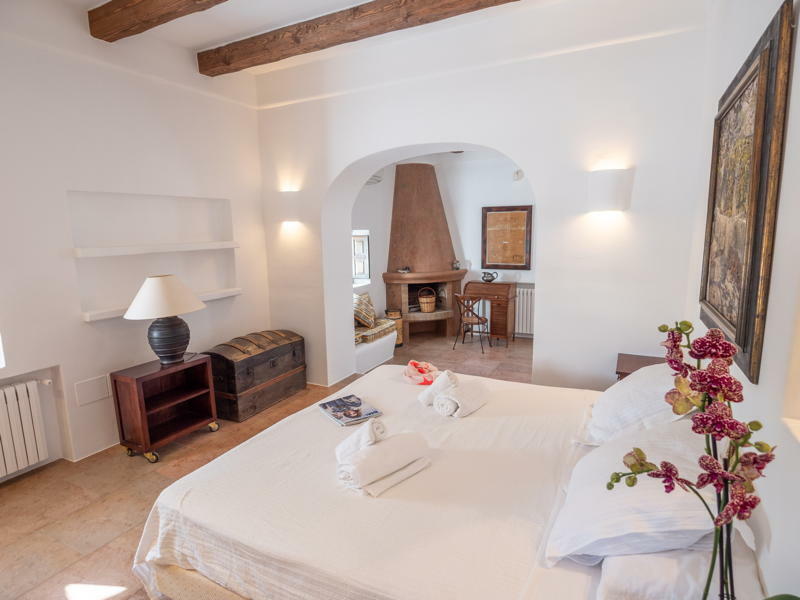 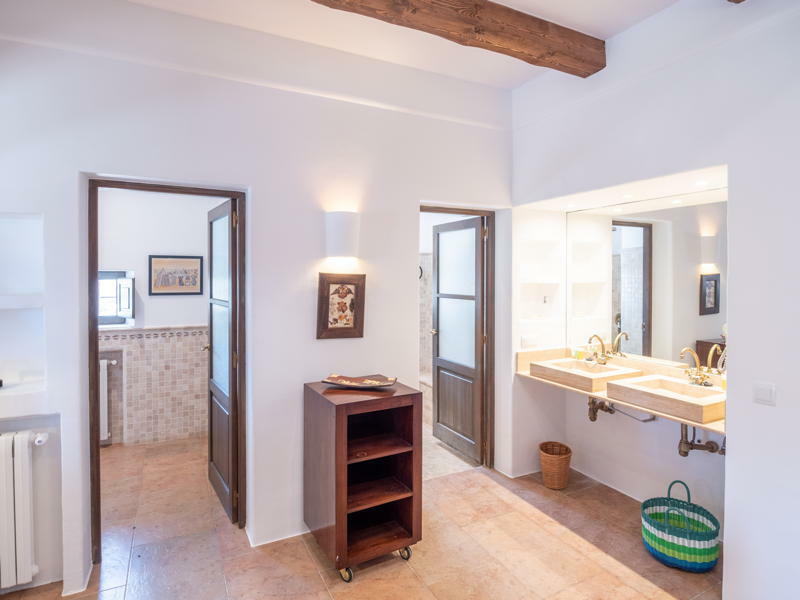 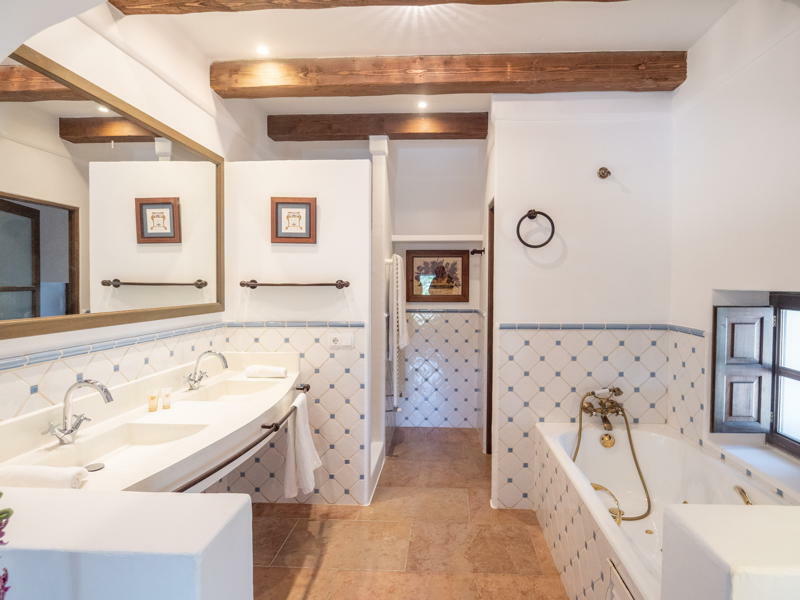 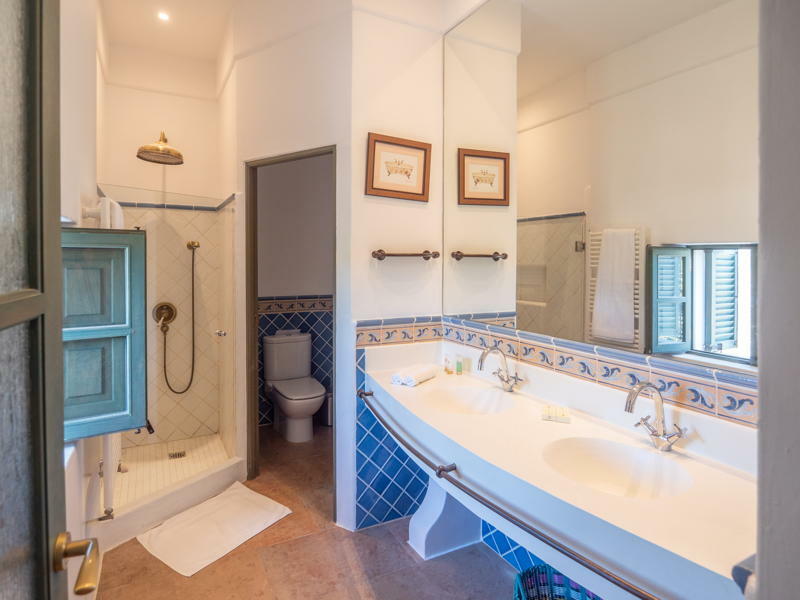 The Finca Classica is a lovely traditional house situated on six hectare of grounds, it has a big ifinity pool and an outdoor jacuzzi with wonderful views to Santa Eulalia and the sea. 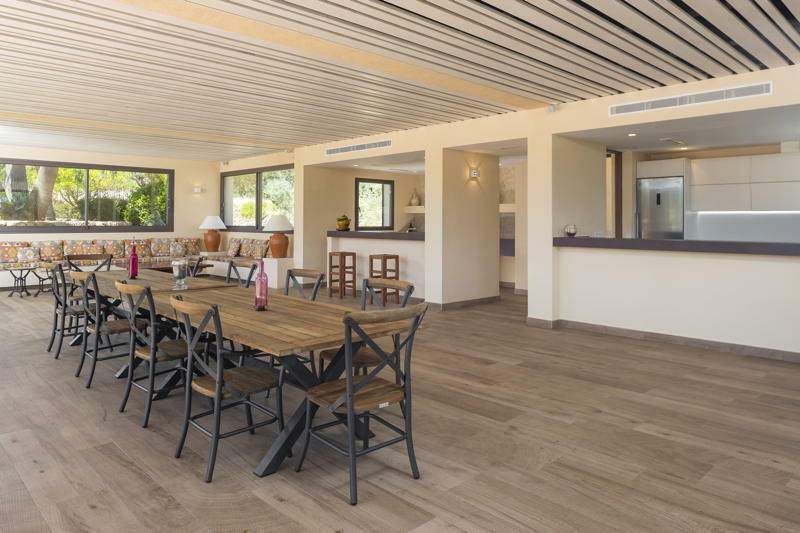 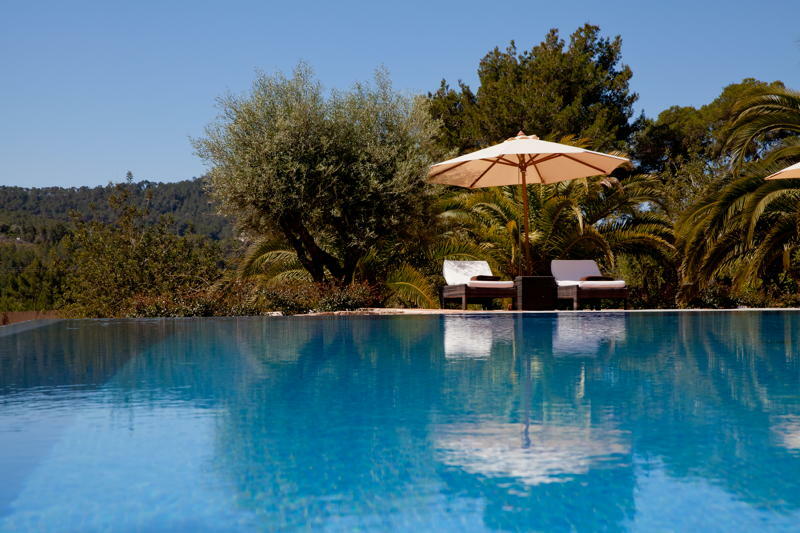 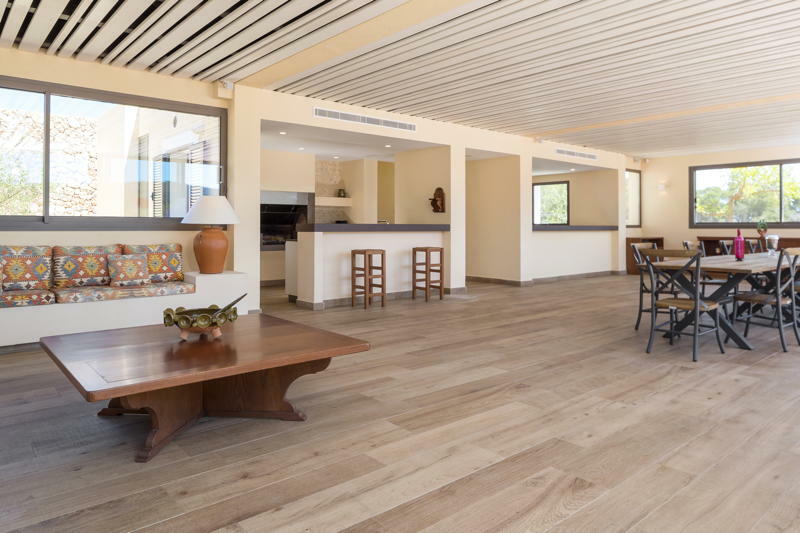 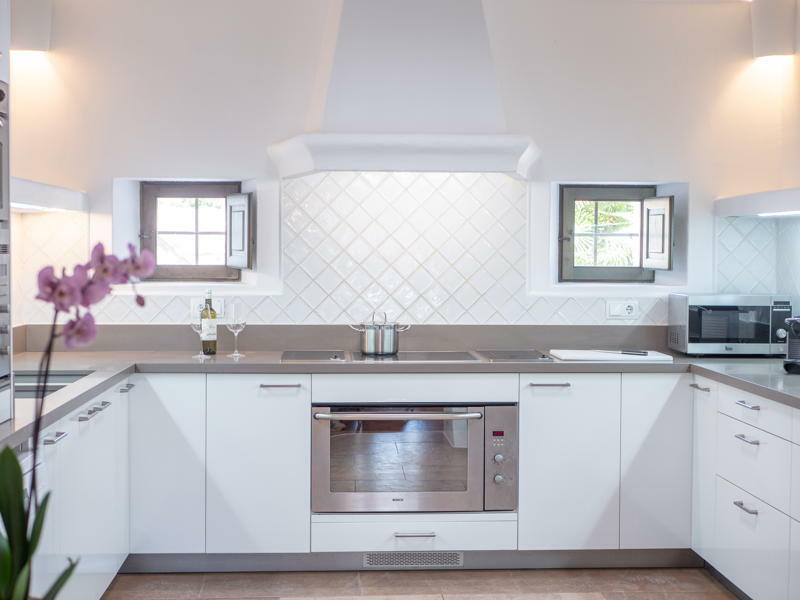 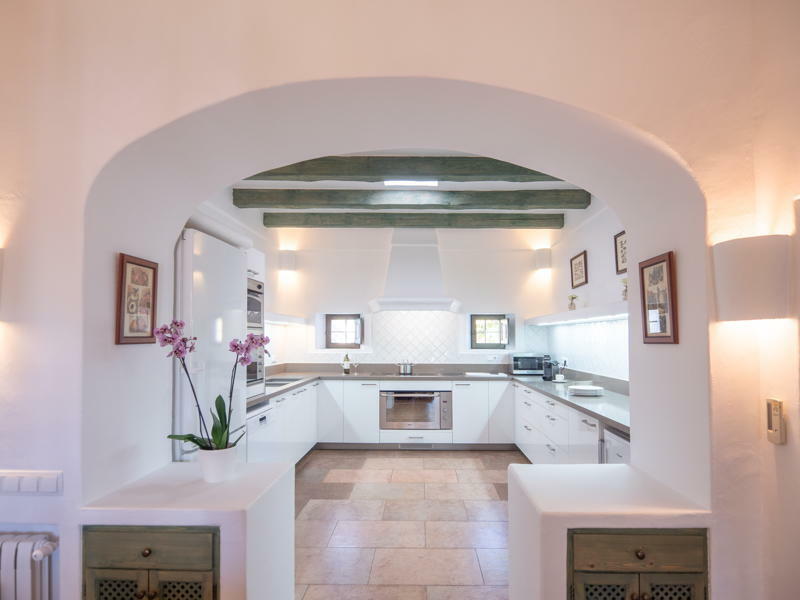 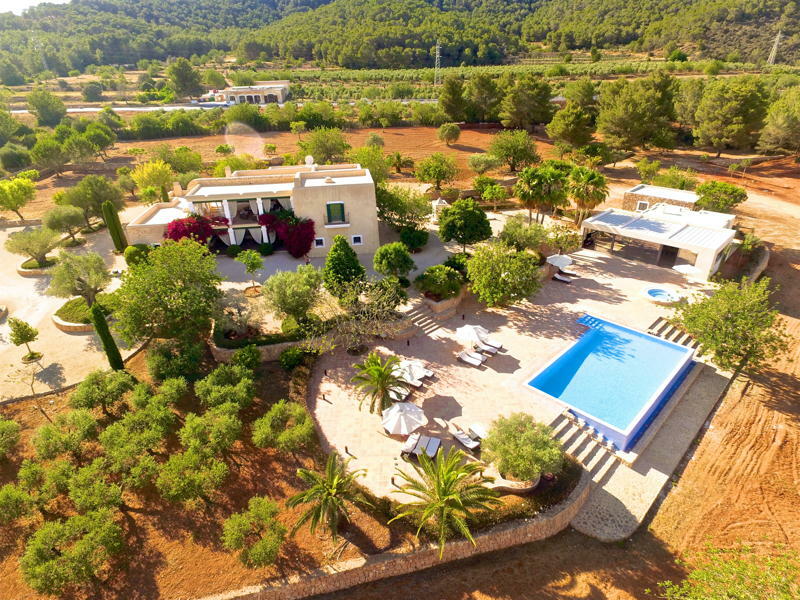 This villa, built in 2006 from an existing Ibiza villa, maintains the main characteristics of the Ibiza’s architecture, surrounded by fruit trees and marvelous palm trees in an exceptional surrounding, with complete privacy and a perfect location. 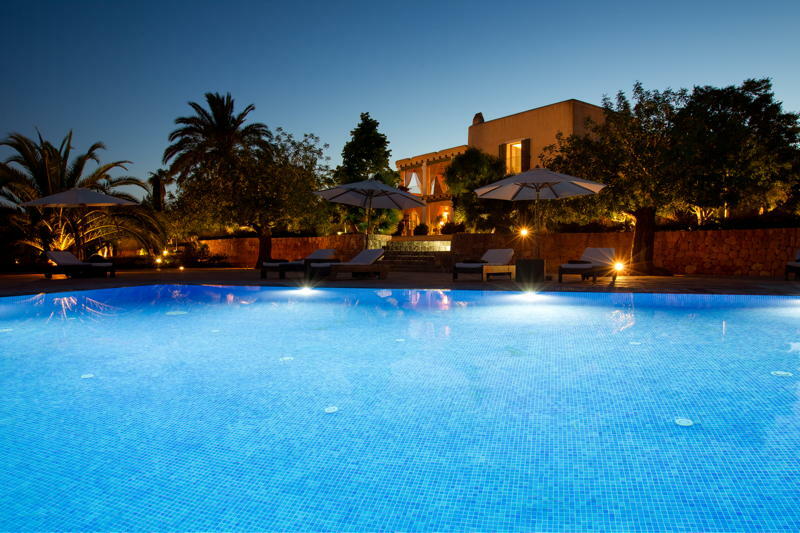 There are six suites each with their own bathroom ensuite, two of the master suites also have an hydro massage bathtub, a seventh bedroom is located in the studio next to the pool house it has a complete bathroom.The main house has two outdoor porches for dining and relaxing, a barbecue, large swimming pool, outdoor jacuzzi and lovely gardens with orange trees and olive trees. 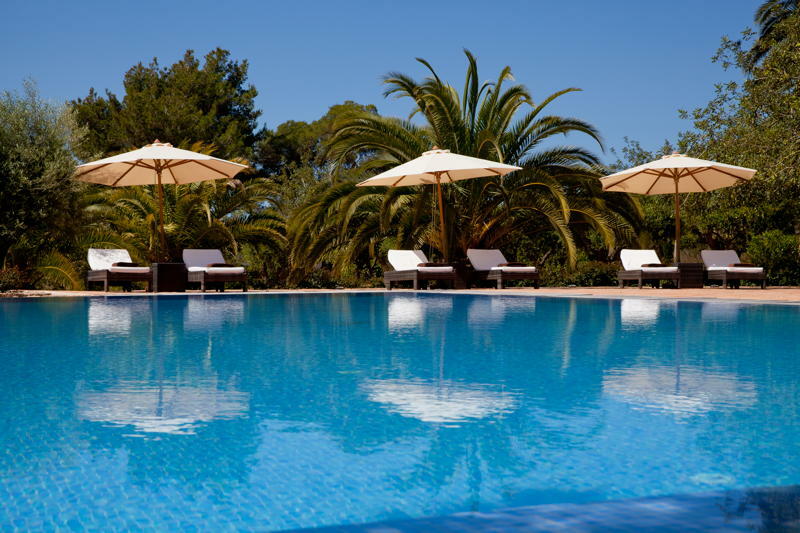 The pool terrace has sun beds parasols and outdoors furniture. 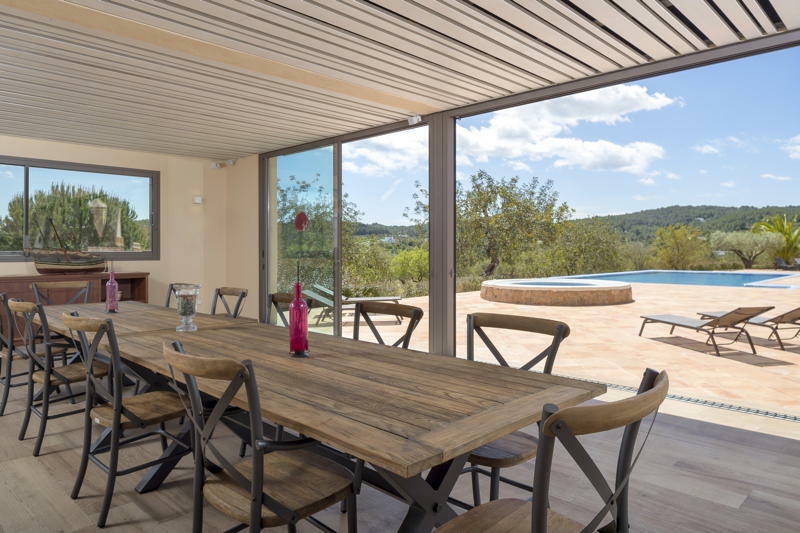 The pool house has a large dining area with a barbecue, a second kitchen, two wc, showers, a service room and an area for events. 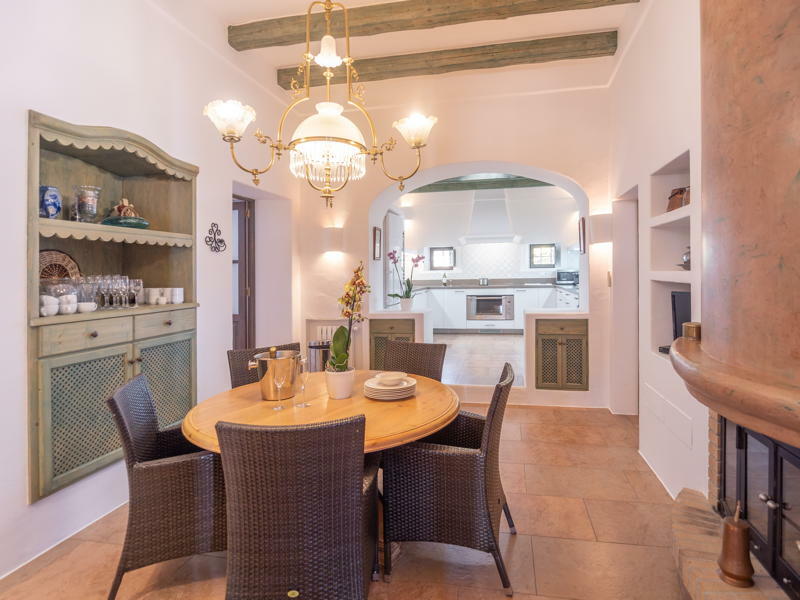 This room can be closed at night for dancing or a private party, in winter its the perfect indoors dining room for a large family lunch. 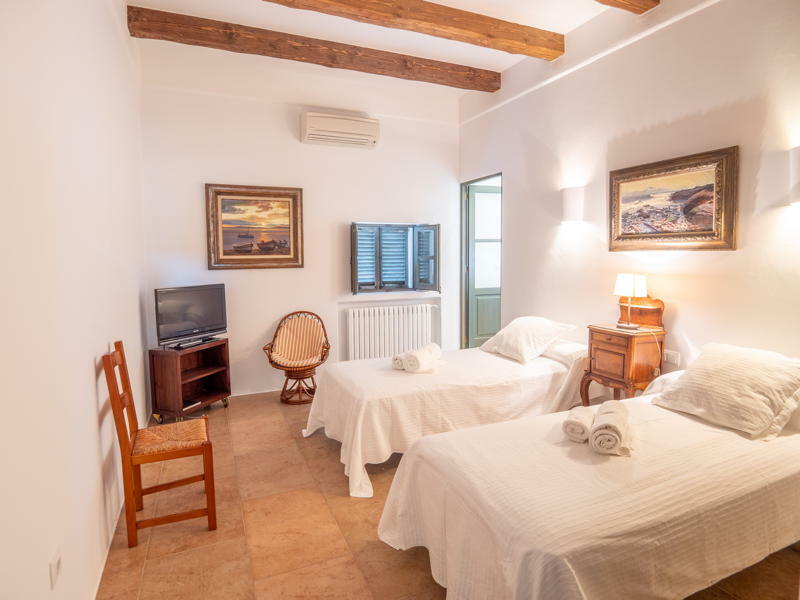 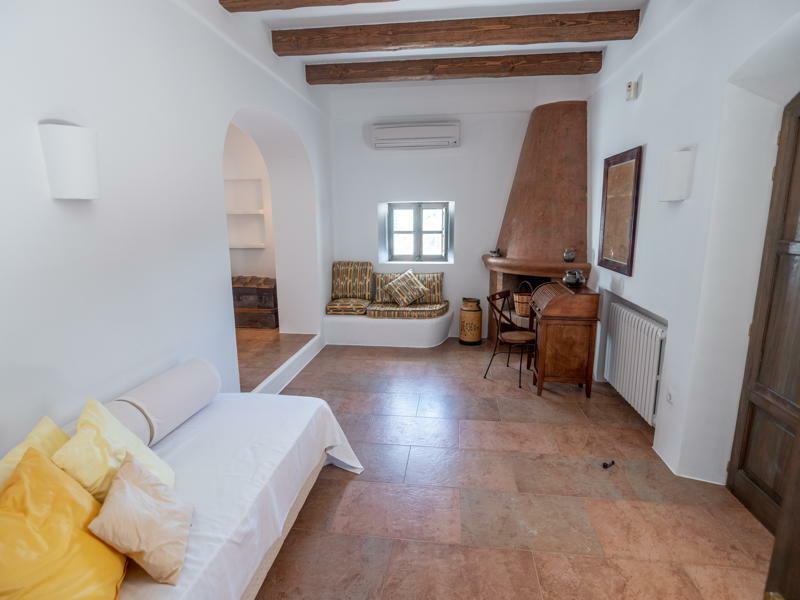 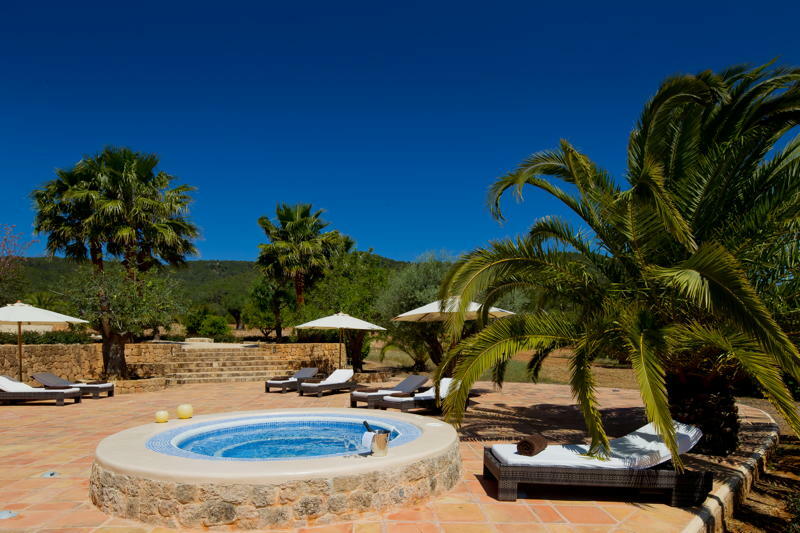 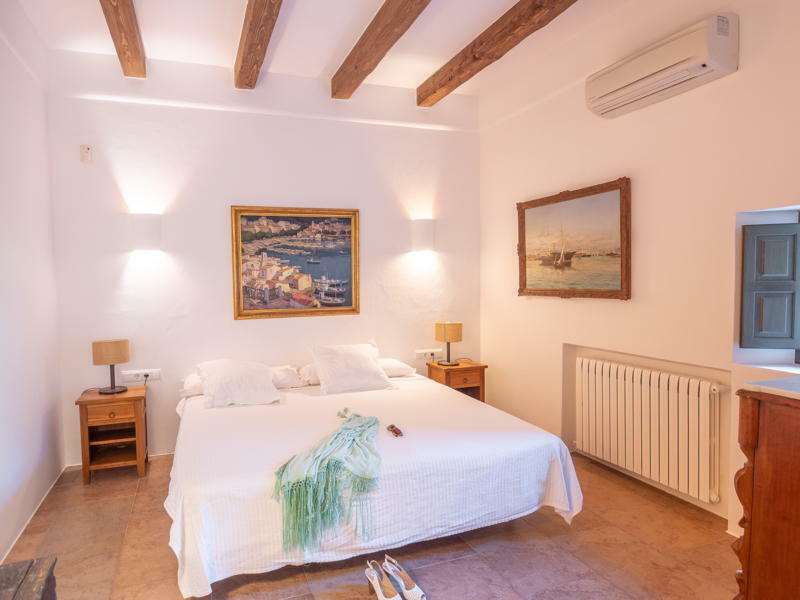 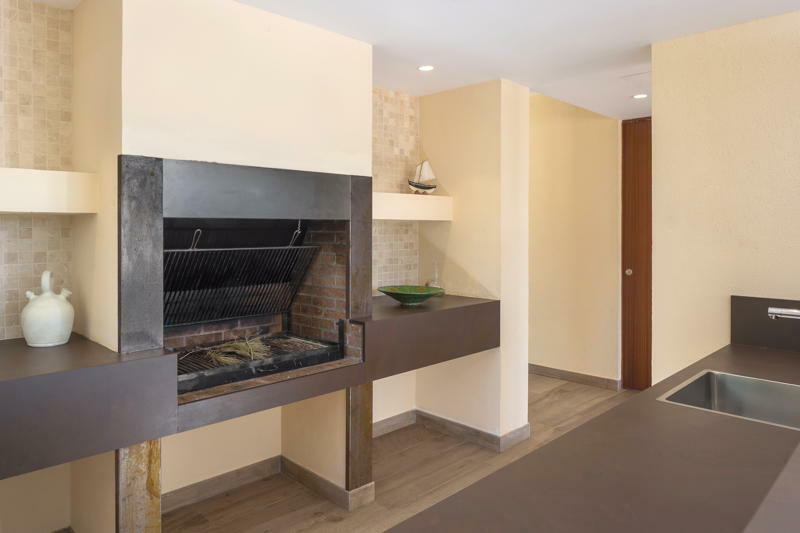 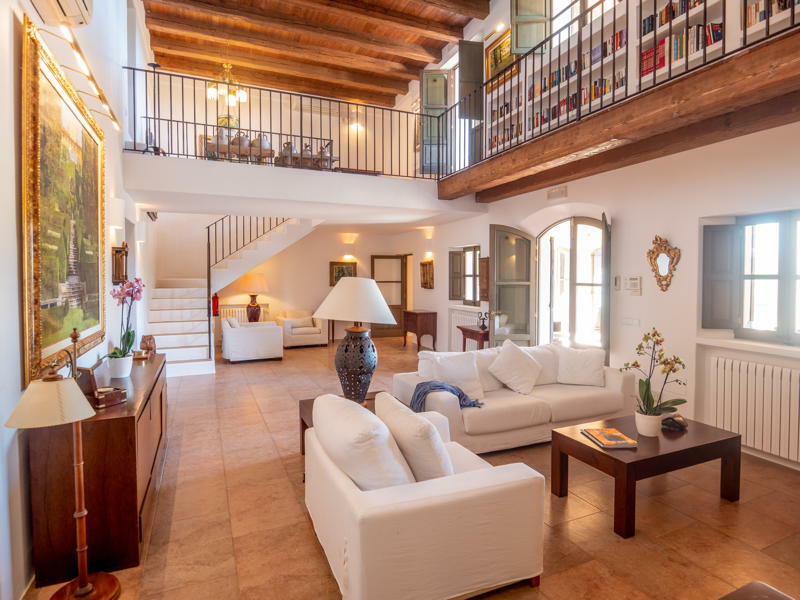 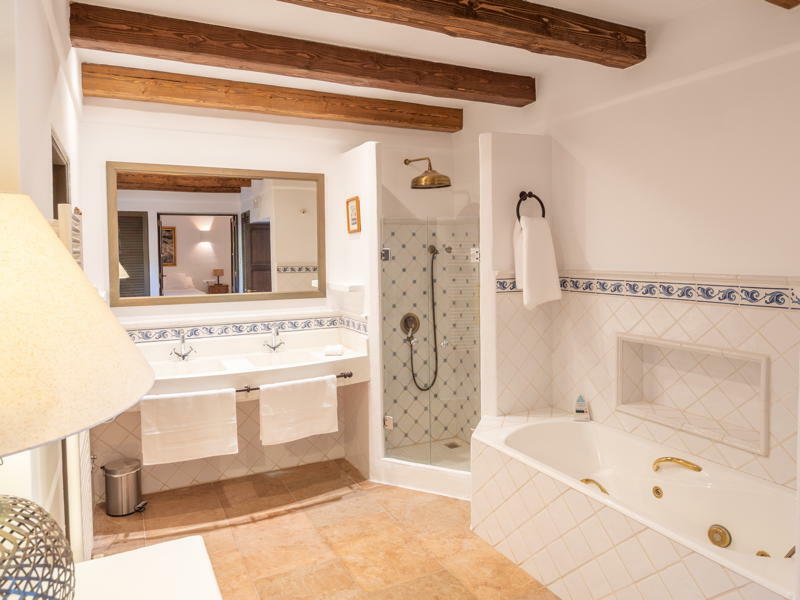 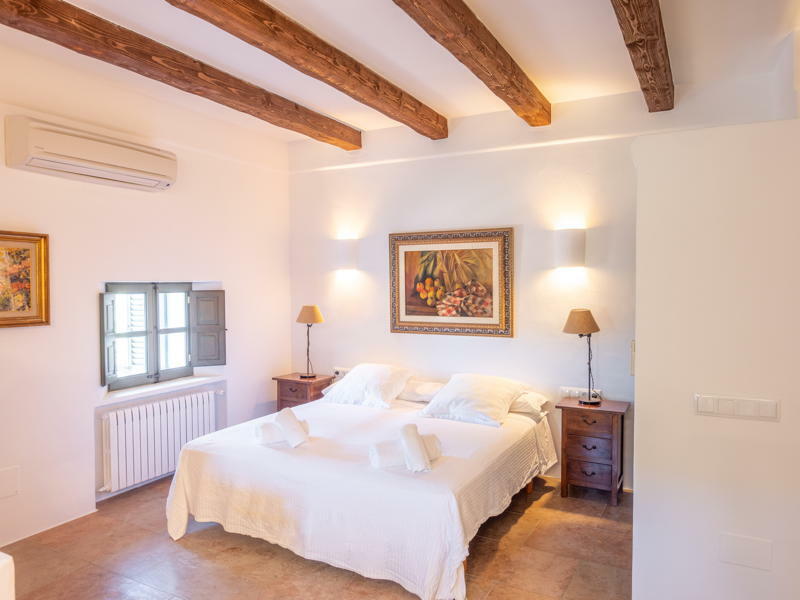 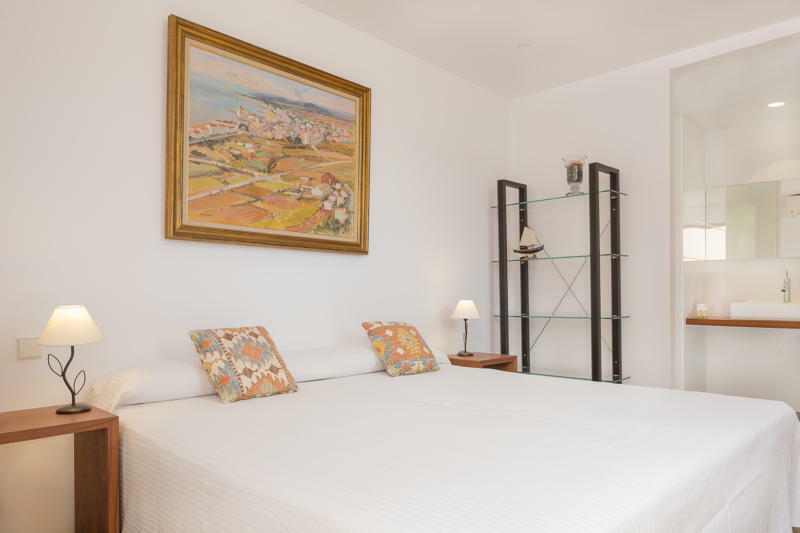 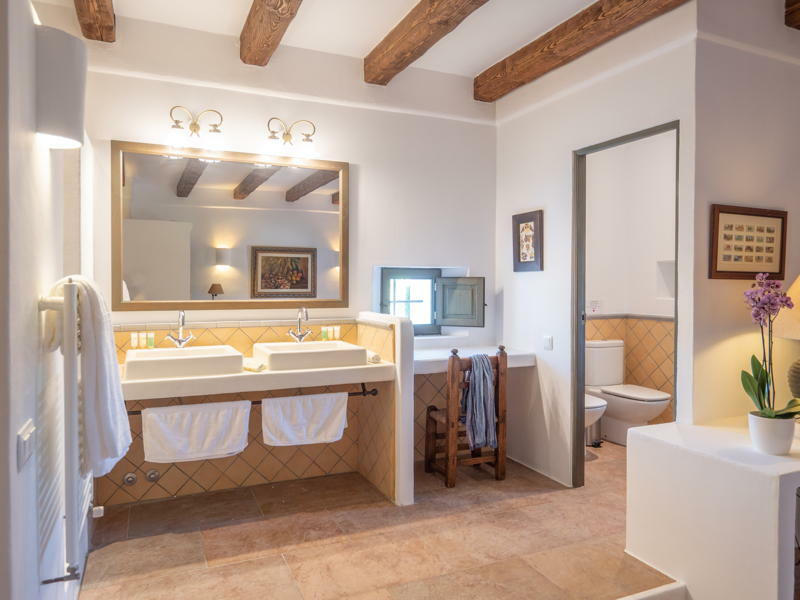 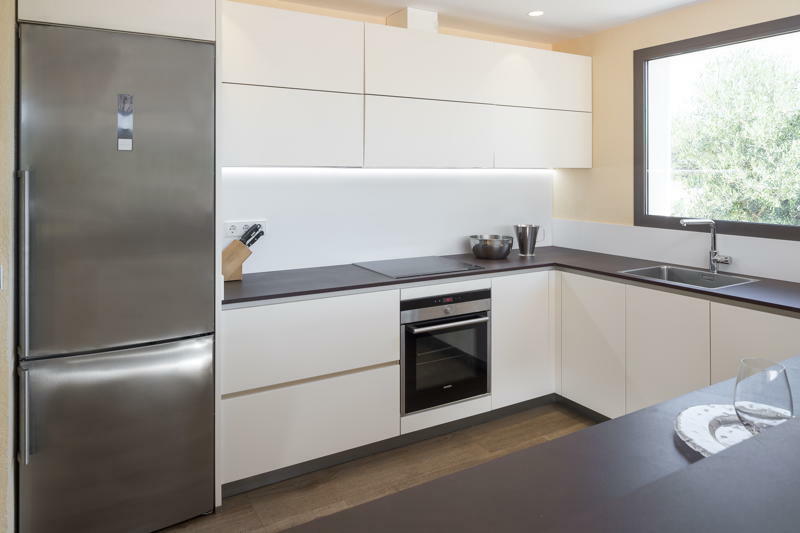 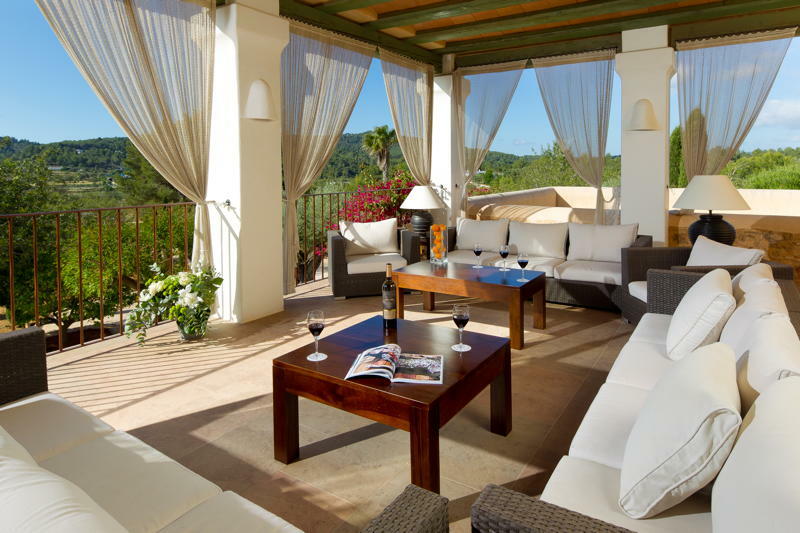 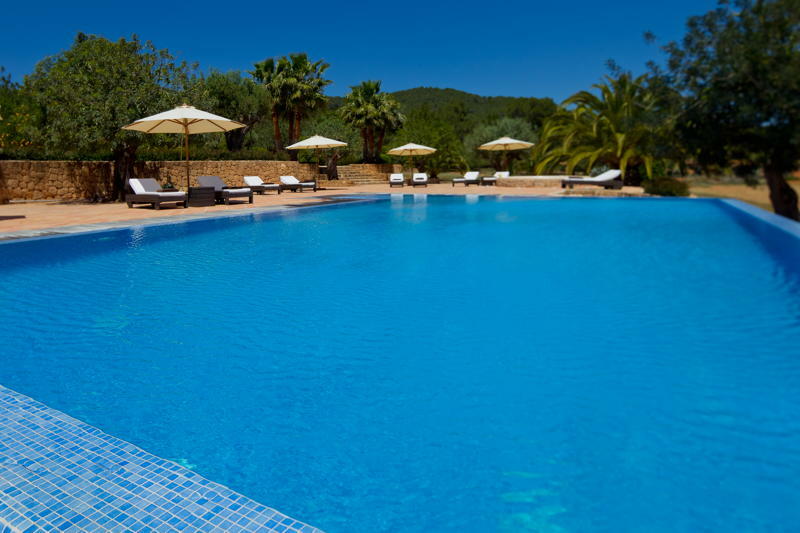 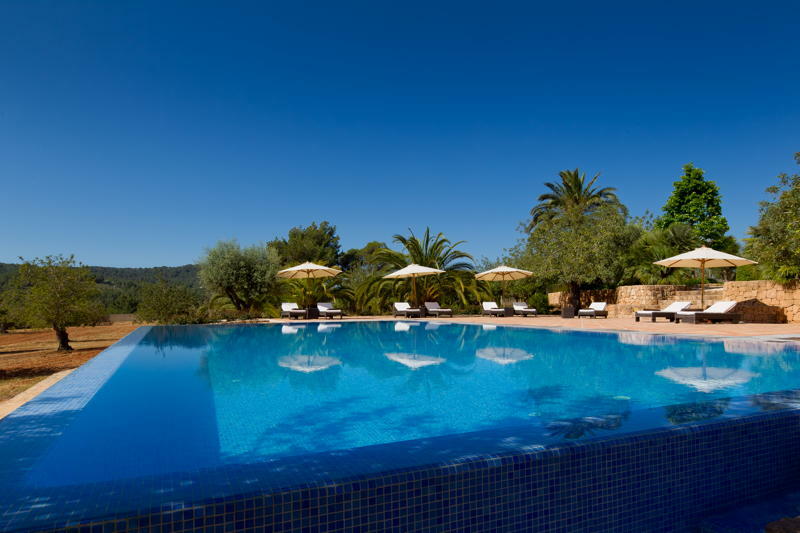 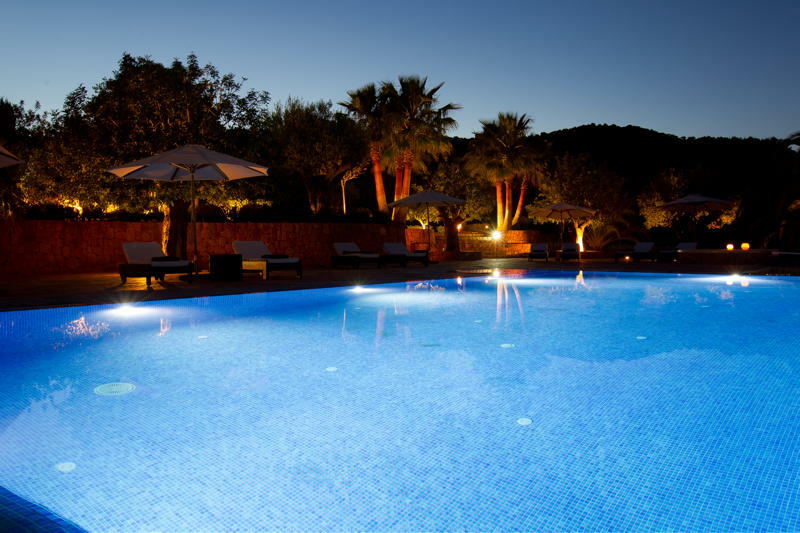 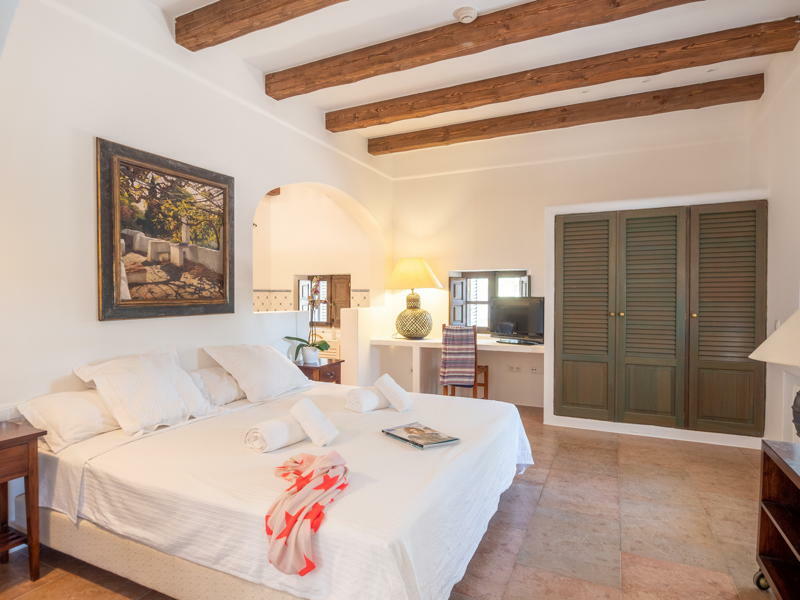 The location is optimal as it is very central located between Santa Eularia and Santa Gertrudis. 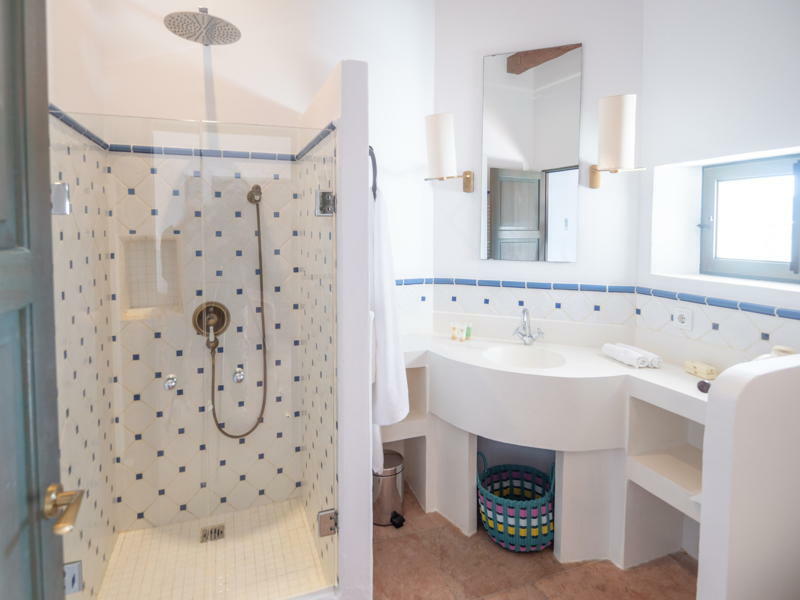 The next door property may be rented in conjunction to provide 14 bedrooms.